← “A fish rots from the head down” – America be warned? The UK is the Leader in Europe once again! Shame on us all! We are officially the most obese country in western Europe. [Obesity has tripled here over past 30 years, for god’s sake]. But how the hell has that disastrous situation come about, eh? Is it an illness epidemic? NO, but it is certainly an epidemic. Is it due to climate change? NO, but that too is also endangering our lives. Is it due to atmospheric poisoning? NO, but air pollution is a growing problem as many as 40,000 people a year are dying from dirty air across the country. Is it due to global deforestation? NO, but less trees mean less oxygen and dryer climates. Is it due to increasing pollution and failure to recycle? NO, but it definitely kills and destroys ocean life. Is it devastating loss of diversity? NO, man is destroying more habitats than ever and species extinctions are at an unprecedented rate, with untold consequences to mankind. Is it the loss of Polar ice? NO, but it is-shrinking by 10% every year causing amongst other things rising sea levels which in due course will flood London and NY. Is it due to dead-sea zones? NO, but in some 150 areas of the world’s oceans, depleted oxygen levels caused by high levels of chemicals in the waters means the sea cannot support marine life. Is it down to population growth? NO, but it is excessive and puts a strain on our water, food, and living space which is not helped by major developed societies wasting up to half their food and collaring massive natural resources. Is it a widespread genetic fault? NO, but genes are an inter-play part in all body functions including weight distribution, appetite, and influence but not control the final weight itself. Is it peoples’ medication? NO, but some prescription drugs can stimulate appetite while others can affect body metabolism, causing it to burn calories at a slower rate or affect how the body stores and absorbs sugars and other nutrients, or cause more efficient conversion of food into energy. Is it lack of physical exercise? NO, but such activity improves health, and reduces the risk of developing disease, as well as improving-quality of life. Even those of us who think we are OK and just perhaps a little overweight, are in fact on the verge of obesity, probably? As athletes are warned about performance enhancing drug taking, ‘we as individuals are solely responsible for what we put in our mouths’ [AND IN OUR CHILDREN’S MOUTHS!] – so if WE are at all overweight, it is because WE eat too much, and SIMPLY THAT, isn’t it? [2/3rds of us are overweight and 1/3rd of our children under 15 are overweight or obese]. Don’t underestimate the challenge we face to get back to normal weight will you, as it is the biggest one in our lives? The other thing to remember is that we are on our own, we can expect no help whatsoever from anyone and certainly not from our government of the day or Council (of whatever persuasion). You see MONEY is at the root of the problem – because the bloody-leaching uncaring have made riches in getting us obese, and they fully intend to keep us increasingly obese, and worst still are determined that our children will be obese as well, so that the whole situation becomes self-perpetrating, won’t it? Who are they, these blighters who are set on destroying our great nation? They are the food and drink pushers, the processed-food outfits, the junk food providers, the fast-food peddlers, the take-away hotspots, the ready meal pushers, the sugary soft-drink makers, aided & abetted of course by the conscienceless advertising brigade working in cahoots with them. Live near to a fast food shop and your risk of obesity doubles! We all underestimate how much we are eating! We overestimate how much we will burn off with exercise (it’s almost impossible to burn-off a takeaway)!. How has all this come about though? Well a major destructive part has certainly been played by the supermarkets (and subsequently Amazon, eBay, and the other internet sellers), hasn’t it? They have progressively destroyed in our cities, our towns, and our villages, the concept of being a shopkeeper to earn a living, be it butcher, baker, or candle-stick maker, eh? That is why then the high street has become instead of the like and retailers, is a haven now for coffee shops, cafes, and junk food outlets, to the extent that we can’t walk even ten yards along a main road in the centres without encountering a pushy fat-building food peddling unit, can we? No, there are some 60 thousand of them in UK with many towns ‘dominated’ by burgers and kebabs outlets as well as traditional fish & chips, like say seaside resort Blackpool (revealed in 2015 as the takeaway capital of the UK?) with 279 takeaway shops – roughly one takeaway for every 500 people living in the town. Now this ‘overeating’ epidemic is not something that has crept-up on our society, surreptitiously and unnoticed, is it? No, WE individually may not have known about it, despite the constantly increasing obesity before our very eyes, but say back thirteen years ago the leading medical journal, the JMC , published a landmark article about the prevalence of clinical obesity in Britain – which it determined had ‘doubled’ in the previous ‘decade’. It reported that ready access to highly palatable foods induces excess consumption, hence that obesity is caused by simple gluttony, and that a high fat diet ‘overrides’ the body’s normal appetite fullness mechanisms. 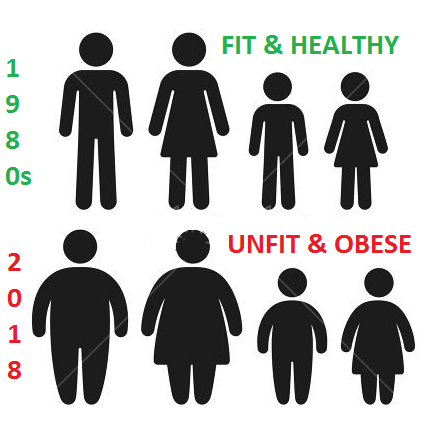 So despite the fact that the British population’s general energy intake had dropped substantially, nevertheless obesity rates had escalated because the energy needs for life’s reduced levels of physical activity, had declined even more. Though it reported that there was an initiative to set ambitious targets for reversing the trend (in light of the serious health burden which faced the nation), that efforts to develop prevention and treatment strategies were being handicapped by uncertainty as to the root cause of the problem. [What really was meant and should have been recorded was that those responsible for causing the situation were intent on denying everything – just like the tobacco companies in the 1960s denied their product caused cancer and went to great lengths to mask the truth for many decades (and still are? ), eh?]. WELL THE INITIATIVE BLOODY WELL DIDN’T WORK, DID IT? [NO – all measures have so far been pathetic, haven’t they? A decade ago a government department report stated that the nation was sleepwalking into obesity – how true was that, eh? At the time being, the government is still comatose. That is because they don’t have the balls to put a brake on it all, because it means taking drastic and unpopular action, and halting in their tracks the money-makers of perpetuating this national catastrophe. It just ain’t going to happen and that’s the truth, isn’t it, so it would seem we are doomed to our fate? You only have to look at what has happened regarding the disastrous and disgraceful behaviour of the fizzy soft drink makers industry and their determined filling of their cans and bottles full of sugar (aimed at our children no less). [In the worse case, 13 teaspoons of sugar in a standard 330ml can]. Oh yes, these guys are the big operators like those behind Old Jamaica ginger beer, Coke, Pepsi, energy drinks like Monster, Rockstar Red Bull, or Irn Bru, 7 UP, Vimto, Lucozade. They are virtually untouchable, so instead of simply banning large amounts of sugar in drinks, the government only introduced a so-called ‘sugar tax’ (certainly NOT ground-breaking) at the excessive highest level, and took 2 years to bring it in as well. Even that only came about though, despite positive evidence from abroad (like Mexico no less), after frustrated doctors and scientists here united with campaigners to force their hand three years ago, while the producers fought have tooth and nail to block it throughout. [Sugary drinks consumption alone results in some eight thousand cases a year of diabetes]. 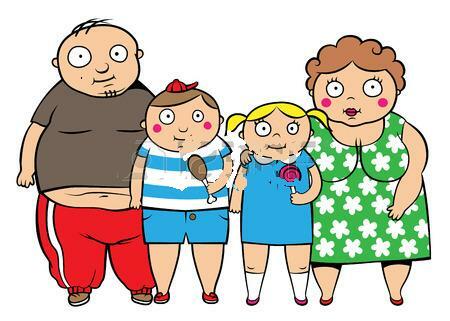 [The district surrounding Cumbrian port town Whitehaven (with multiple fast-food outlets), in 2016 had more than three-quarters of residents either overweight or obese – there is a warning message for us all surely? This entry was posted in children, community, doctors, economy, education, energy, europe, Food, government, Health, hospital, industry, Law, local government, manufacturing, medical, men, NHS, Other Countries, Politics, retailer, science, Sport, supermarket, tax, USA, women and tagged 7 UP, adult, ‘England a Nation of Shopkeepers’, BMJ, burgers, Coke, diabetes, energy drinks, epidemic, exercise, fast food shop, fat, fish & chips, fizzy soft drink, gluttony, Irn Bru, junk food, kebabs, kids, Lucozade, Monster, obese, obesity, Old Jamaica ginger beer, overeat, overeating, overweight, Pepsi, Physical activity, population, processed food, ready meal, Red Bull, Rockstar, sugar, sugary soft-drink, supermarkets, Vimto, Whitehaven. Bookmark the permalink.